House additions come in a few basic types to address homeowners' needs for living space, cost, and style. House additions range from low-cost, do-it-yourself sunrooms that only minimally can be called additions to expensive full-size conventional additions. Garage conversions can even legitimately be called additions since so much living area is added at once. Additions can cost as much as you want. Some even meet or exceed the cost of the main house itself. A conventional house addition is a multi-room structure that is built onto the side of a house and which is permanently open to the main house. When built well enough, a house addition essentially blends into and becomes the house itself. A house addition can have many types of areas: great room, dining room, family room, bathroom, guest bedroom, or master bedroom. Rarely is a kitchen added to the addition, unless the addition is intended to be an apartment. Though expensive, with costs rarely dipping below five figures in any market, full-size house additions typically return high value in relation to their building cost. The process of adding a conventional addition to your house is long and arduous. Often it helps to consider that you are basically building a mini-house, complete with all of the trappings of a house-build, good or bad: architect, contractor, permits, wiring, HVAC, plumbing, change orders, and more. 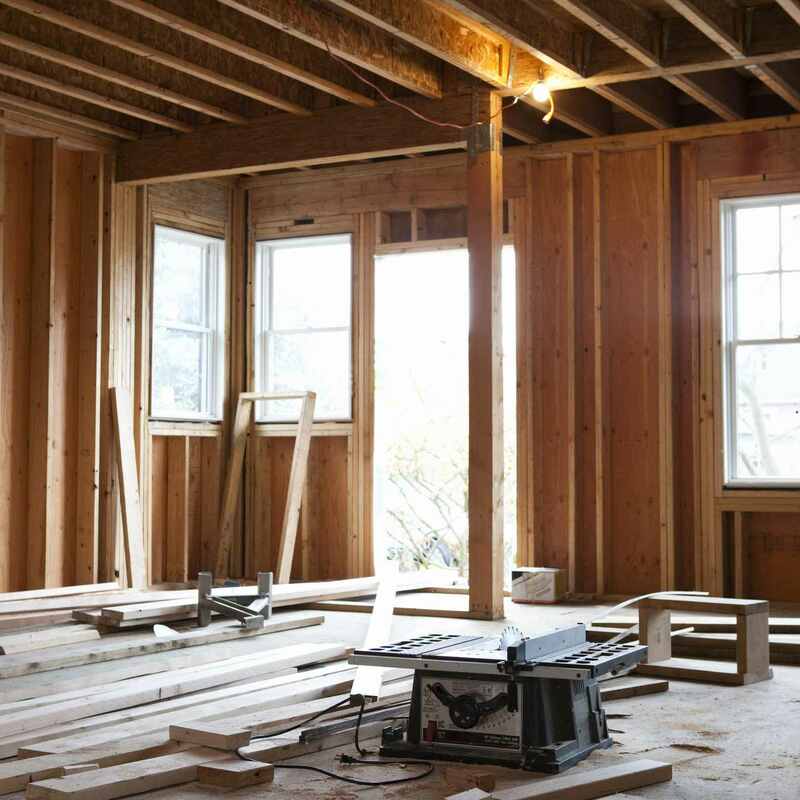 A room addition or bump out is a single room structure built onto the side of a house meant for a single function, such as a bedroom or bathroom. Sometimes it only expands the size of a single room on the existing house. A room addition or house bump out is an addition scaled far down. It might be another 50 square feet added to your kitchen so that you can squeeze in a kitchen island. Or you might cantilever a few more feet out into thin air to turn a cramped dining area into a comfortable place to eat and socialize. Room additions and bump outs often lay down a new roofline, employing a shed style or flat roof. While these types of additions are cheaper than full-size, conventional additions, they are not cheap. They are still subject to building codes, permits, and inspectors. A sunroom is an addition to the side of the house that is usually a supplemental living area. Sunrooms typically can be closed off from the main part of the house with doors. Sunrooms are not an alternative to a conventional addition. Smaller than a full-size addition, sunrooms are most often made of pre-fabricated materials such as aluminum and thermal-resistant glass and assembled on-site. Sometimes, sunrooms are stick-built from lumber, concrete, and other materials used to build the house itself, resulting in a solidly built living area that visually matches the existing house. Sunrooms are never used as permanent sleeping areas. Kitchens and bathrooms are never installed in sunrooms. Because sunrooms are not, by code, designed to be year-round permanent living structures, certain features are possible that that are not possible when building a conventional addition. For example, sunrooms can be built with oversized glass and other fenestration that it is not possible with a conventional addition. Also, sunrooms are not required to have heating or air conditioning. A garage conversion is a one- or two-vehicle attached garage that has been turned into a living space by adding flooring, replacing the garage door with a solid wall, and installing a ceiling. Usually, garage conversions become living rooms or bedrooms. Garages are tempting to convert into living spaces. The basic structure consisting of walls, foundation, concrete flooring, and a roof are already there. In addition, a number of the elements needed for living spaces such as electricity and a couple of windows are already in place or partially so. Some garages already have drywall on the studs, leaving one less task to do. But garage conversions can come with some downsides. For one, it can be difficult to aesthetically and functionally blend the conversion with the rest of the house. Major systems such as plumbing and HVAC are typically not in place, so they will need to be installed. Garage conversions have low resale value, and houses with no garages are harder to sell.